MJ-12: Inception out in paperback today! Greetings from Wyoming! I’m about to embark on the second day of the Launch Pad Astronomy Workshop here at the University of Wyoming in Laramie, and so far it’s been pretty incredible. But while we’re all busy here contemplating the vastness of the universe, I still have a book out today here on Earth, and I’m pretty stoked about it. 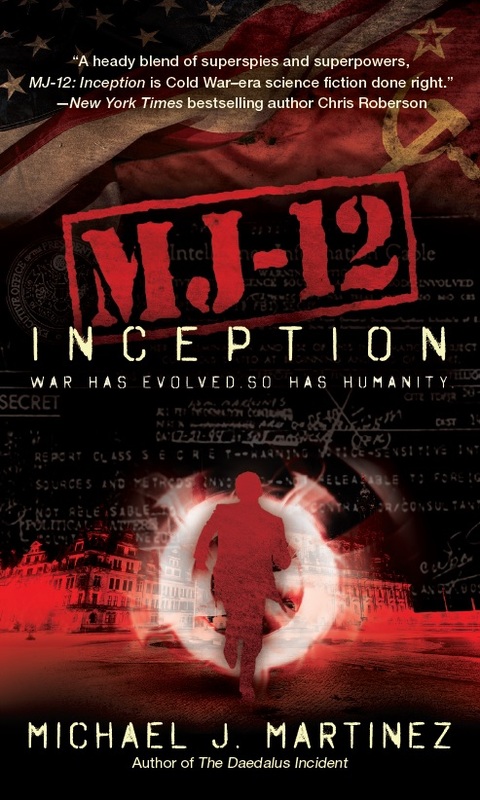 MJ-12: Inception hits shelves in mass-market paperback today, and I hope it’ll introduce the Cold War espionage adventures of the Variants to even more people. The paperback edition also has an excerpt from MJ-12: Shadows, out in September, tucked in the back. The ebook price at Amazon has dropped considerably with the new edition, and I expect other ebook vendors to follow suit soon, if they haven’t already. I’m grateful to the folks at Night Shade Books for getting this one out there in mass-market. I know hardcover can be tough for some folks to swing, especially for a new series. We’ll also be issuing MJ-12: Shadows in mass-market right out of the gate, because when you think spy thrillers — superpowers or not — you tend to think paperback. And as much as the hardcover was super pretty and excellent, getting the books into readers’ hands is more important. That said, I’m very grateful to all the folks who bought and read MJ-12: Inception in hardcover, and doubly so if you’ve taken the time to leave a review on Amazon or Goodreads or wherever. That stuff helps a lot, believe it or not. And if you haven’t left a review or rating yet, please consider doing so. It matters. All right, then. Back to astronomy! Enjoy the paperback!